Whenever you have the need for Nissan services, rely on your friends at Villa Automotive to take care of you. We have been in business for over 60 years and saw the modern vehicle come to rise. While the modern vehicle was evolving, we were gaining hands-on experience – doing internal and external repairs, rebuilding engines and other mechanical things. In simple terms, our experience with Nissans runs deep. If you live in San Luis Obispo, or surrounding communities, don’t hesitate to contact Villa Automotive at one of our convenient locations the moment you notice something wrong with your Nissan. The longer a problem goes unfixed, the more damage it does to your vehicle. The less time you wait, the more money you’ll save. We specialize in Nissan repair and our skills are proven. Ask our current customers – they’ll tell you. 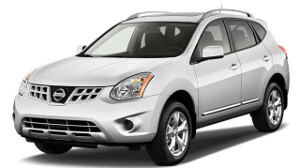 We love Maximas, Altimas, Rogues and all other kinds of Nissan models. We consider it a privilege to work on Nissans and get excited every time one pulls into the garage. We’re as thrilled to fix your Nissan as you are to drive it. It’s in our blood to take care of Nissans and their drivers. When you come to Villa Automotive, you and your vehicle will be treated the same – with care, kindness, professionalism and respect. We look forward to seeing you at the shop!